Below we have gathered a list of the top 10 best magnetic toys out on the market. If you are in search for a magnetic toy for adults that offers stress relief or perhaps your intention is to break a bad habit – then we’re quite positive that there will be something in the mix that matches your requirements or will give you inspiration for a unique gift idea. If you have a magnetic toy that challenges your creative thinking while helping with stress relief in mind, grab yourself a set of SPEKS Building Magnets which includes 512 tiny balls of limitless fun. Whether you are looking for a game that demands your full attention or simply want something that keeps your hands busy while your mind is at work, this collection of rare earth magnets will do the trick as you mold, shape and squish them between your fingers. The weight of the magnets and coolness of the metal appeals to the palms of your hands – quite a pleasing feeling and one of the mainreasons why palm-sized magnetic toys and finger fidgets are currently so popular. Much like the rounded Speks Building Magnets, EDC Fidgeter 3mm magnetic toy for adults is just as portable, discrete and challenging to the creative mind. 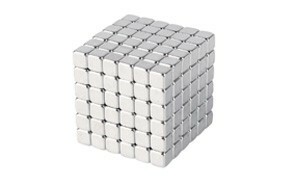 The rugged cubes are slightly easier to manoeuvre however, making this nifty gadget an ideal “plaything” for anxious businessmen who are looking to relieve a little tension and regain focus, all while strengthening brainpower. 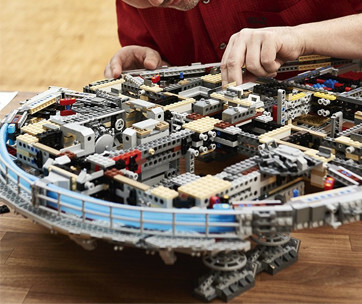 This is a must-have treat for office workers, students or just about anybody who enjoysusing their imagination to create something awesome out of the ordinary. If you think you need more of a challenge, this set of magnetic sticks and tiny round balls is the best magnetic toy for the job! Arrange the pieces to create impressive desk sculptures and practice patience while concentrating on designing your masterpiece. The Magnetic Building Blocks set is an adult gadget that takes the concept of a puzzle to a whole new level and “attracts” fun while building intelligence at the same time. Use these tiny construction pieces to design office sculptures while on long and tedious conference calls – make life just a tad more entertaining for yourself! This will be your new favorite desk toy! Yellow Mountain Imports Magnetic Travel Chess Set is the ideal travel companion for industrious students and businessmen on the go. The compact board ensures that it fits into your luggage perfectly without adding an inconvenient additional weight. At the same time, the size of the board game is still convenient enough to accommodate a challenging and comfortable game. The set includes a magnetic board as well as magnetic pieces -this helps to avoid disruptions whilst journeying onlong bumpy busses or on turbulent airplane rides. This little plaything would make an awesome corporate gift or a novel stocking-filler for a professional businessman who enjoys a little competition. When boredom gets the best of you or if you find yourself a tad demotivated, the SPOLEY Desk Decor Base and Stainless Balls could be what you need to reenergise and regain focus. The idea is to drop the different sized balls on to the magnetic base, creating mesmerizing sculptures while you let go of the stress and find your mojo – think zen. This magnetic puzzle set might leave perfectionists a tad more anxious than calm if they find the challenge to structure the differently proportioned balls harder than their OCD tendencies can bear! You can also gift this to someone who already has everything else. 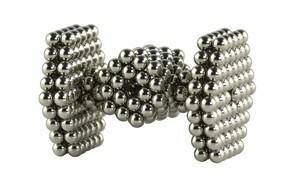 If bling is your thing then 132pcs Magnet Construction Set is definitely one of the best magnetic toys on the market. The silver and gold magnetic set reflects status and success and will surely be admired by associates and clients. The idea is to release stress and anxiety while you create and construct, usually at the comfort of your own desk. HINT: why not add to the challenge by purchasing two boxes of these nifty magnetic critters and make the game a tad more exciting? This gadget takes the concept of a “quality toy” to a whole new level and while its purpose is to create a happier and focused mind, the shiny gold sculptures will be pleasing to the eye too – they’re way more than just brain food! Feel like spinning your stress away? Improve focus and concentration with PojoTech Orbiters Magnetic Fidget Toy. How it works: hold the spinner in your hand or position it on a flat surface, spin it using your other hand and fidget your anxiety away while you clear your mind and take a breather. Who would have thought that the mere act of spinning a tiny object would provide a sense of calm and assist in overcoming unwanted habits? Or remove stress after a game of table hockey that you just lost? 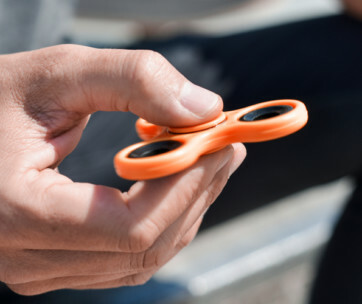 This magnetic spinner is a more adult-like take on the classic Fidget Spinners that the kids are raving about – care to meet the trends? Whoa, talk about the power of the pen! In terms of versatility, Empowline Polar Pen Fidget is the best magnetic toy on the list and includes multiple features that are not only useful but entertaining too. This magnetic pen is not just your average pen, it’s also a finger-fidget toy that can be rotated and transformed into a wide variety of sculptures, helping you to work on stress and anxiety in between putting pen to paper. Impress your associates and clients as you whip this little guy out of your pocket – quite the little crowd pleasure we think! Feeling slightly indecisive? Perhaps this magnetic fortune teller can set you at ease and assist you with your decision-making processes – all in the name of some good office fun? While I wouldn’t count on its accuracy and predictions, it’s quite the novel desk ornament and will pass some time during those moments of procrastination. 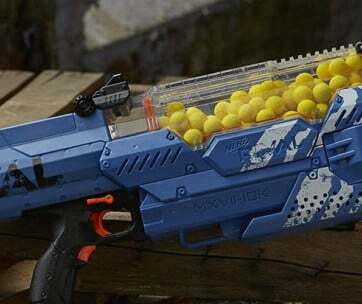 And it is more handy that playing with a nerf gun in the office, right? How it works: Kikkerland Magnetic Decision Maker uses a ball that spirals around a circular platform, this platform contains a number of answers (yes, no maybe, definitely, try again etc.) and as the ball slows in momentum, it will hover over its “chosen” answer. Oh nuts! How cool and manly does this magnetic construction set look? Create an infinite number of designs by piecing together these tiny magnetic hexagons. 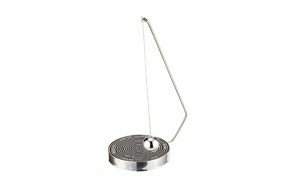 Stacking Nuts is another nifty gadget that intends to alleviate stress while working the creative mind. It’s a more novel take on the standard rounded and cube-shaped sets and in our opinion, the nut-shaped magnets are more satisfying to handle and manoeuvre than their counterparts. This is an impressive executive toy that will add a touch of fun to a long-winded day and offers a much-needed distraction from demanding professional duties. Really, who says kids need to have all the fun? These novelty “toys” are the perfect gift for professionals who simply need a little downtime in between tedious hard work and strenuous demanding lifestyles. They make for excellent conversation starters too and are sure to grab the curiosity of your associates and clients once spotted on your desk. I’m not sure what it is exactly, but there’s something satisfying in the pull and force of magnets – spoil yourself or a loved one with one (or more) of these listed gadgets and experience the appeal for yourself!